Using a drum carder to process your fiber is not difficult by any stretch of the imagination – but it does require a little bit of knowledge and know-how to produce consistently excellent results. Like any new skill, practice makes perfect…but it never hurts to have the “cliff’s notes” to shorten your learning curve! 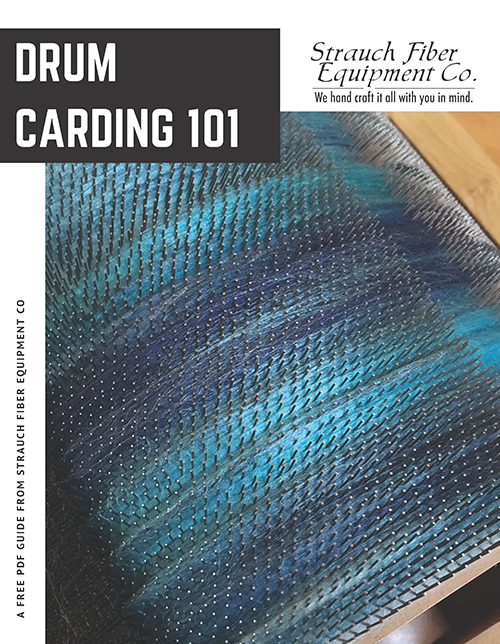 We’ve created a free PDF guide covering the basics of drum carding, available for free when you sign up for our newsletter. We’ve compiled all of our best tips and tricks into one concise, easy-to-use guide that will have you creating beautiful batts with ease in no time flat! Click here to get our free guide. Choosing the right drum carder for your needs. What fibers you can process with your carder (and the best way to prepare them). How to maintain your investment. 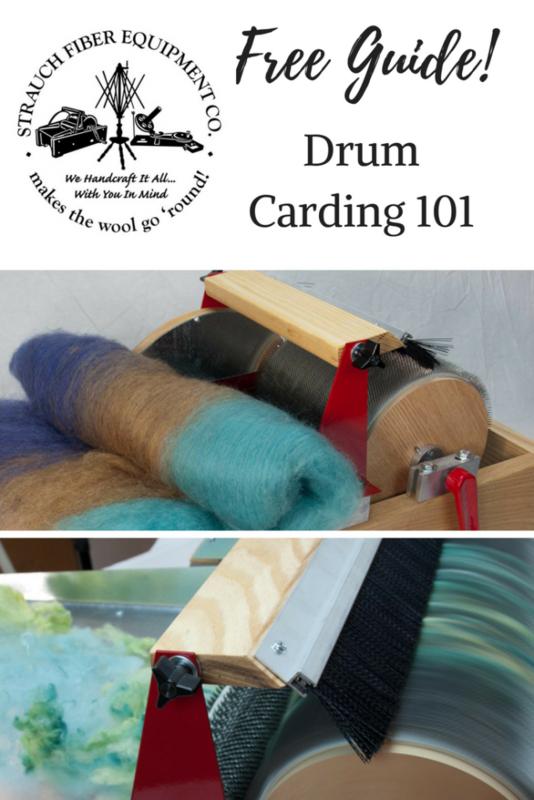 Whether you’re new to drum carding, or just need to brush up on the basics, our free PDF guide is designed with you in mind! Click here to sign up for our monthly newsletter and receive a free PDF download of Drum Carding 101. This entry was posted in Carding, Fiber, Freebies and tagged drum carding, free tutorials, freebies. Bookmark the permalink.